Like most people who work a 9-5 (or 6 in my case), weekends are precious. I generally start my Saturday's at 7AM and pack in as many errands as I can. My day started with a great workout at the gym and a few free bottles of my favorite juice, Suja! As I chugged my juice post-workout, I headed over to Target to buy only ONE thing. Isn't that how it always works? You go to Target and intend on heading straight to what you need, yet you find yourself wandering every isle. Two hours and half your paycheck later, you push a full cart to the car. Because I clearly didn't feel like I spent enough money, I hopped over to ULTA where I grabbed two of my newest obsessions. Once again: do yourself a favor and RUN to ULTA to grab NYX Cosmetics Soft Matte Lip Creme as well as NYX's Liquid Suede Cream Lipstick. They are perfect for anyone who likes a non-glossy, matte lipstick that dries quickly. You can thank me later. All of that shopping made my hungry so I was stoked to grab brunch with my friend Tina. 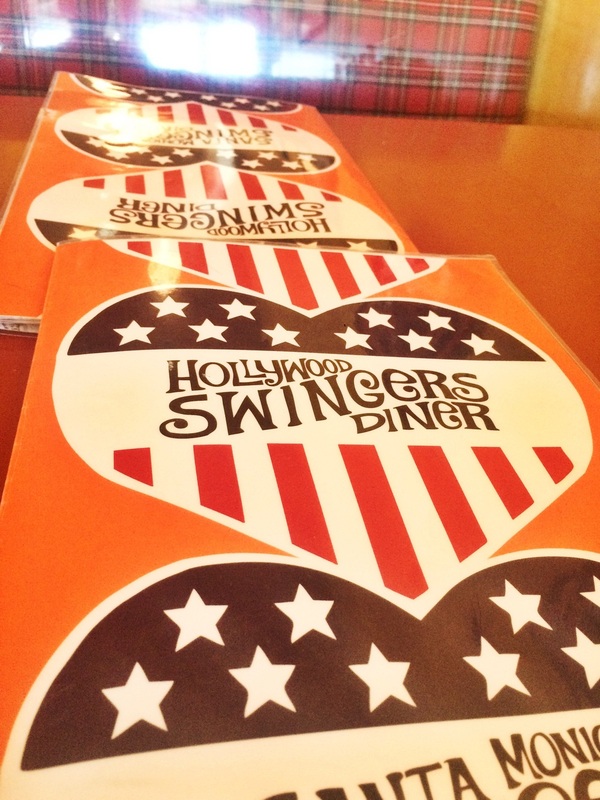 One of our favorite places to meet for brunch is Swingers on Beverly. It's a fun diner that has not so typical diner food. Generally, I order a breakfast burrito (because that's what I order any time I am given the option) BUT I decided to spice things up and get the Ahi Sandwich. If you ever visit LA, Swingers is a MUST! This is where I should list my suggestions as to what to order but I have never had anything there I didn't like. As I mentioned in a previous post, Halloween isn't my thing. I decided to stay in and watch Hocus Pocus as opposed to fighting the costumed crowds around town. After almost 20 years, Hocus Pocus is still one of the best Halloween movies ever. Like a flash of kismet, Liz texted me the second the movie was over saying she wanted ice cream. I suggested we go to our favorite creamery, Salt & Straw in Larchmont. 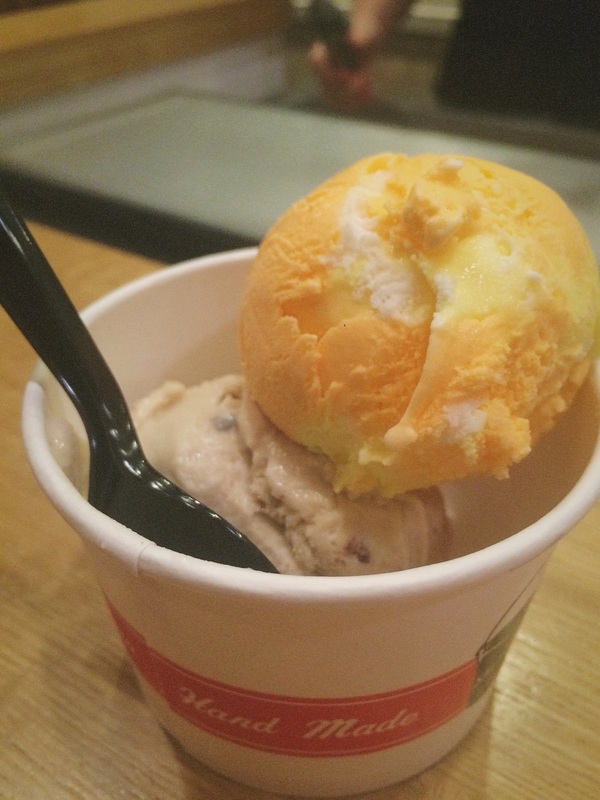 Salt & Straw offers the most wacky yet delicious ice cream I have ever had. To say that they elevate artisan ice cream is an understatement. When you visit, they let you sample any flavors and the amazing staff is always ready and willing to share their knowledge. I usually plan my visits around their monthly specialty flavors. The October flavors were obviously Halloween themed and didn't disappoint. Liz and I sampled all of the flavors, including "Creepy Crawly Critters" which had ACTUAL EDIBLE BUGS in it! It sounds weird but it was absolutely awesome! I decided to go with a single scoop of Candy Corn and The Great Candycopia. Since I will be spending Thanksgiving in Los Angeles, you can FULLY expect me to stop in at some point during the holiday and try these!